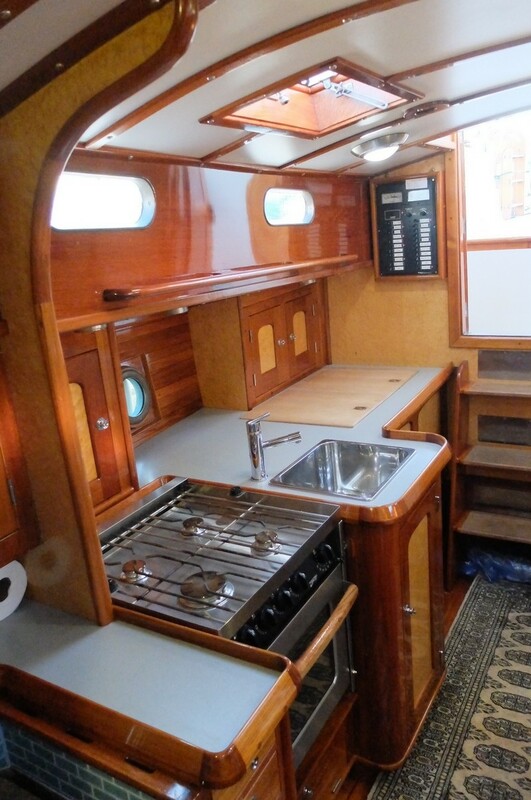 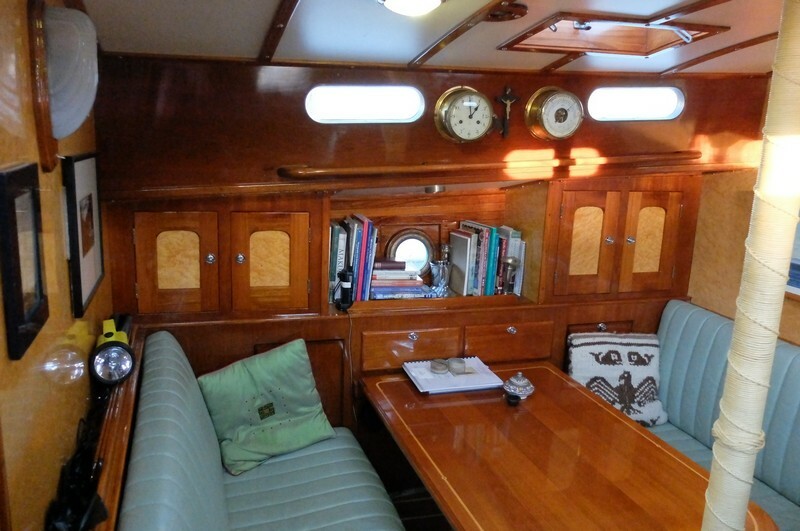 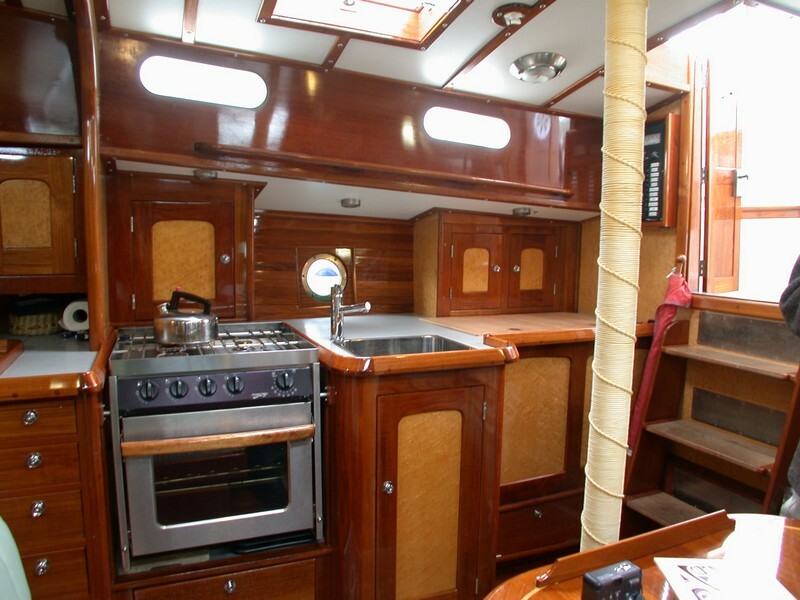 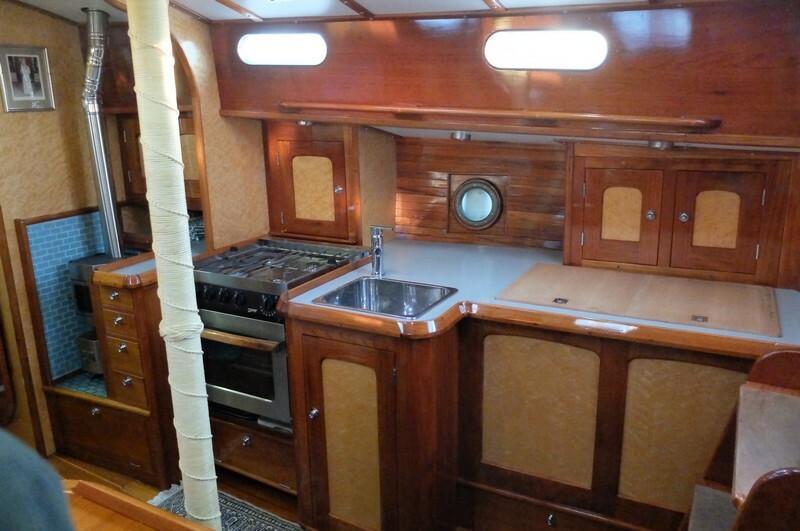 Designed to be a family pleasure yacht for sailing within the rugged waters around Britain. 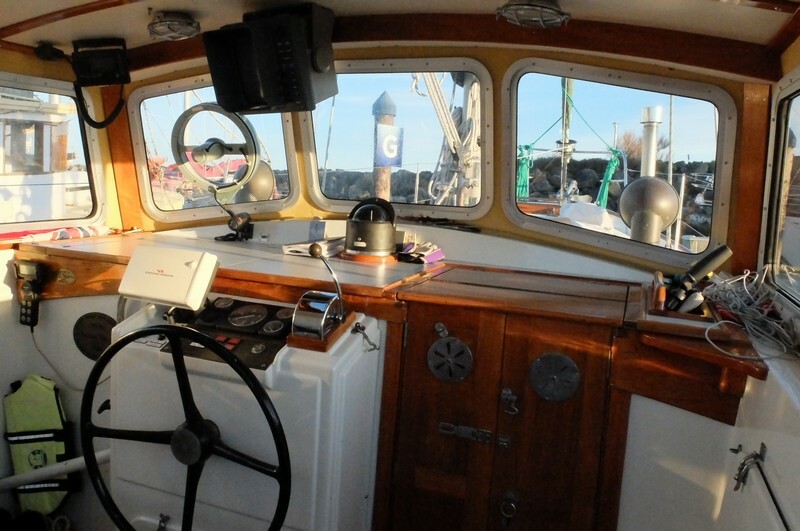 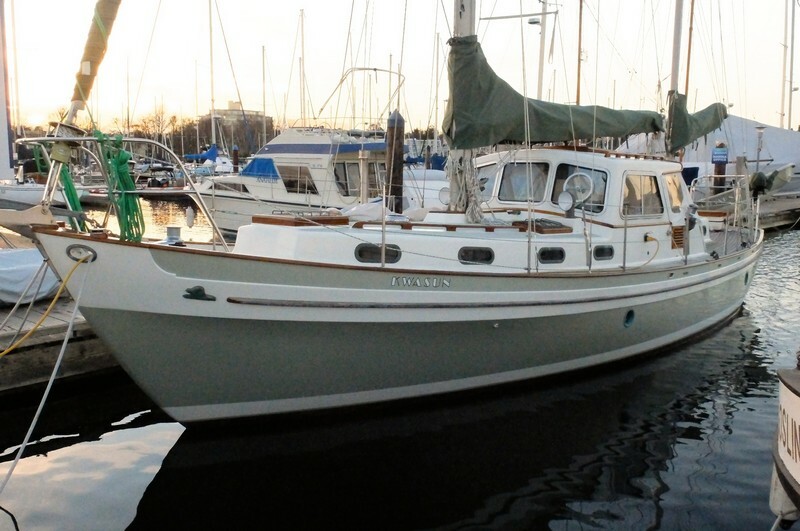 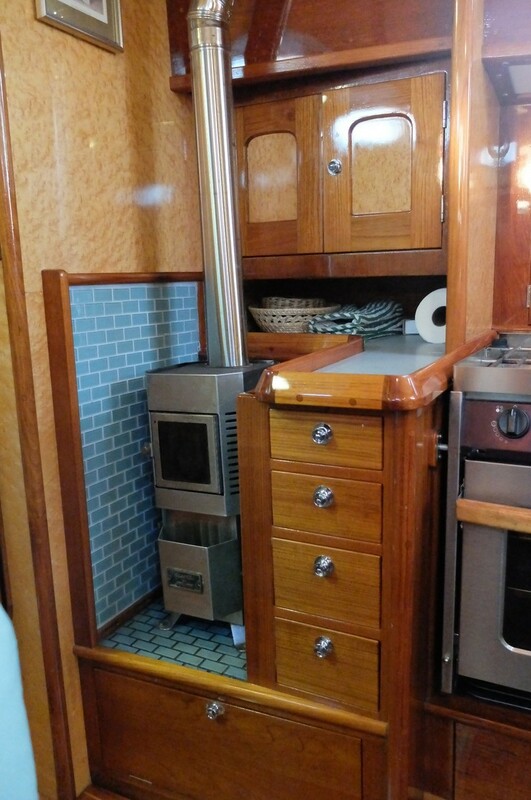 This 50/50 motor sailer has been very successful. 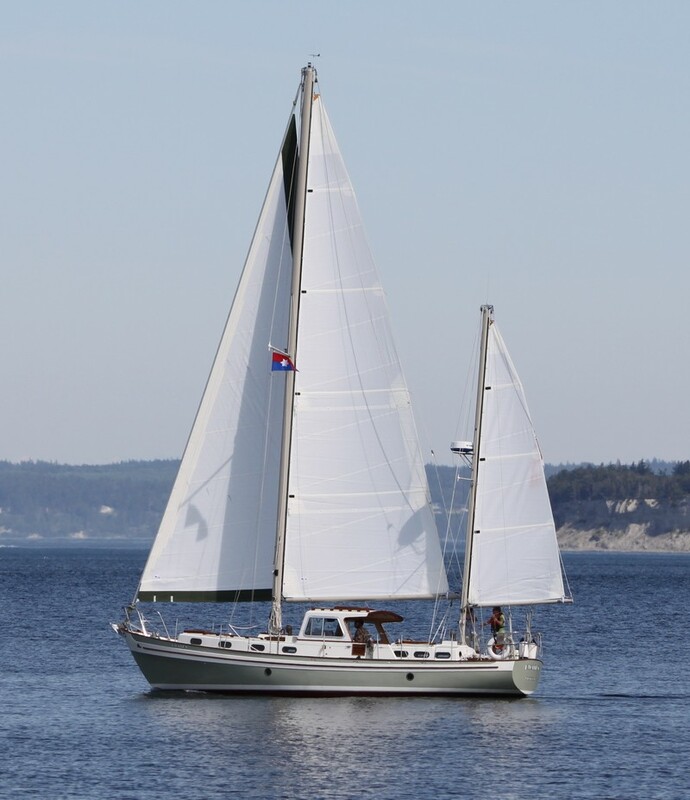 Her attractive appearance together with her robustness yet elegance gave her an almost queenly motion as stated in a "Yachting World" report of her at the time. 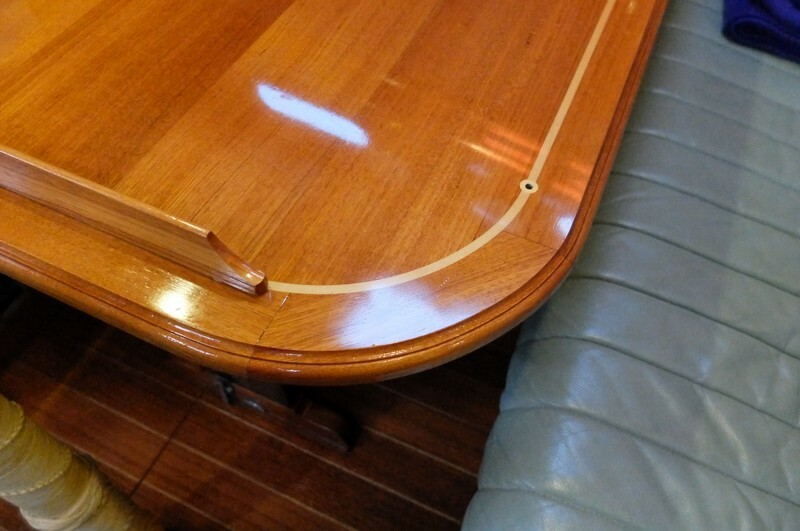 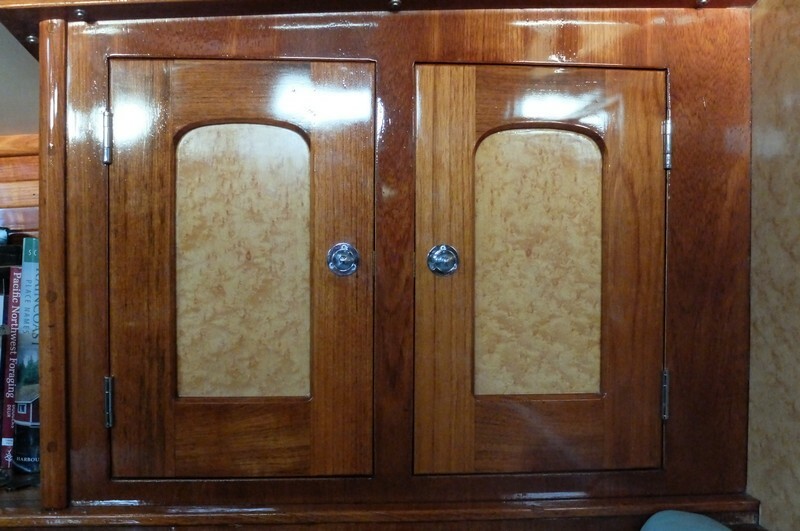 Kwasun was gutted except mechanical hull was insulated, new interior of birds eye maple and teak, new systems, deck hardware, wheel house, etc.